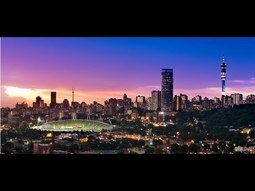 South Africa | Blackworld.com - Connecting the world with Africa. trip of a lifetime, tracing the legendary footsteps of Nelson Mandela. Africans he continues to inspire. 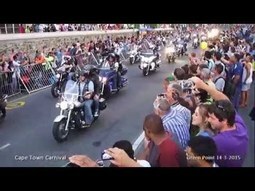 Cape Town is a melting pot of different cultures, unique areas and amazing people. To highlight this, we have gone and continue to go to the heart of different neighbourhoods in and around this amazing city to discover what the locals love, what hidden gems lie beneath the surface and to uncover the true nature of each area. 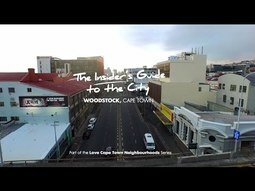 In this one, we invite you to take a closer look at the unique area of Woodstock. Cape Town is a melting pot of different cultures, unique areas and amazing people. To highlight this, we have gone and continue to go to the heart of different neighbourhoods in and around this amazing city to discover what the locals love, what hidden gems lie beneath the surface and to uncover the true nature of each area. 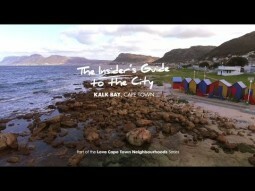 In this one, we invite you to take a closer look at the quirky seaside town of Kalk Bay. Given that South Africa operates within a flexible exchange rate regime, the value of the rand, like any commodity, is determined by the market forces of supply and demand. The demand for a currency relative to the supply will determine its value in relation to another currency. Theoretically, the demand for a floating currency—and hence its value—changes continually based on a multitude of factors. In the case of the rand, its current weakness can be attributed to a myriad of structural problems facing the local economy. The main determinants of a currency’s value include demand for a country’s goods and services. This is closely linked to the growth and national income of its main trading partners. Equally important is the domestic interest rate. If it is high it is likely to attract foreign capital, causing the exchange rate to strengthen. But high inflation can wipe out the benefit of high interest rates to foreign investors. Additional factors serve to drive the currency down. These include a current account deficit. The current account deficit gets bigger when a country spends more on foreign trade than it is earning and has to borrow capital from foreign sources to make up the difference. This implies that a country requires more foreign currency than it is getting through sales of exports, and it supplies more of its own currency than foreigners demand for its products. This excess demand for foreign currency leads to depreciation in the value of a currency. Factors such as political instability and poor economic performance can reduce investor confidence. This inevitably forces foreign investors to seek out stable countries with strong economic performance. Thus, a country that is perceived to have positive attributes will attract investment away from countries perceived to have more political and economic risk. 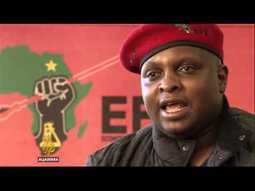 sparked outrage in the country. attitudes in the country, almost 22 years after the end of apartheid. 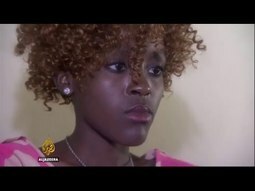 minors under the age of 18–gain entry into the country. since the third quarter of 2011. The tourism business index (pdf) is conducted by the Tourism Business Council of South Africa (TBCSA). deterring international visitors from visiting the country. Hanekom, while the South African-based BRICS think tank, has proposed less stringent regulations for international visitors from other BRICS countries. “South Africa is a bomb waiting to explode, all it needs is a little match to spark it and it will go up in flames,” warned political economist, Moeletsi Mbeki.Speaking to CNBC Africa in an exclusive interview, Mbeki the younger brother to the former President, Thabo Mbeki said the government needed to do more to create employment in the agriculture sector. “South Africa is a country with huge amounts of tension in terms of the underperformance of its economy,” said Mbeki.“We have a 40 per cent unemployment rate among Africans and 30 per cent unemployment rate amongst coloured [people] which are the two largest populations in this country.”Mbeki warns that with those levels of unemployment, the country is bound to have tensions, political and social instability with locals venting their anger and frustrations on foreigners. He concurred that the country was moving towards an 'Arab Spring' uprising largely because the population was highly dependent on the urban economy which was completely commercialised. “The country needs to have an economy that creates employment because we dont have the cushion of peasant agriculture like other regional economies,” he added. hailed via the Mellowcabs app or website. With the recent challenges xenophobic attacks have presented on trade relations, South Africa will need to do a lot to mend its relationships with its key allies across the continent. South Africa has closed its consulate in Lagos Nigeria, following anti-xenophobia protests AND Sasol has evacuated 200 employees from their plant in Mozambique BUT there is a bright side to all of this - As many internationals investors are still investing in the country and in Africa. 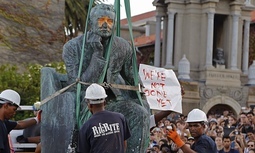 Last week the University of Cape Town bowed to student protests and removed a prominent memorial to arch British imperialist Cecil Rhodes. 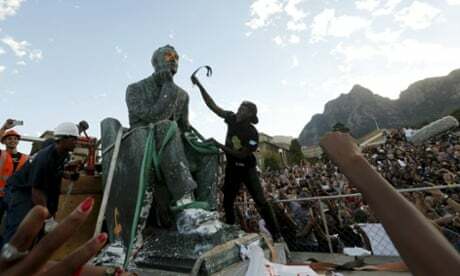 to this country: students have been demonstrating outside Oriel College, Oxford, demanding that its limestone Rhodes, sitting in a niche overlooking the high street, be toppled. But such campaigns often divide opinion. 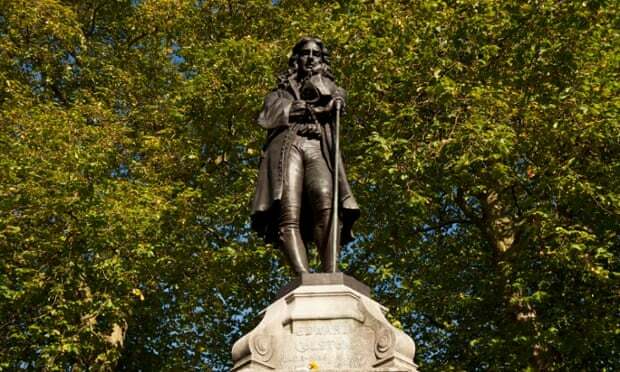 Last year a poll of Bristolians revealed that 44% wanted to see the memorial to slave-trader Edward Colston mothballed, while 56% disagreed. a protest denounced by some locals as the work of “political fanatics”. erected to promote particular ideals and values. 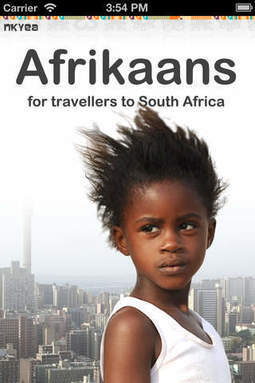 Get Afrikaans for travelers to South Africa on the App Store. See screenshots and ratings, and read customer reviews. daughter, but spends many of her days here with Niesa. They grew up across town as part of a large, close-knit Malay family in a vibrant, multiethnic neighborhood called District Six. “The back door was open, the front door was open — they were never locked,” Janap recalls. “There were no burglars.” “Coloured, white, black were staying together,” Niesa chimes in. 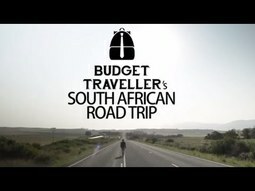 In Episode 2, Kash travels from Port Elizabeth to Knysna. See what awaits our travellers along this beautiful stretch of South Africa's coastline. 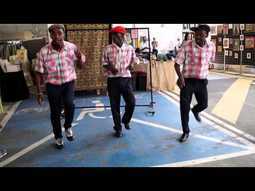 We meet the Soweto Gospel Choir that breaks into impromptu performances around the world. 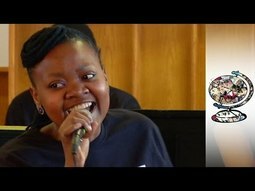 Symphony in Soweto: The story of the South African children finding new life in Classical Music. 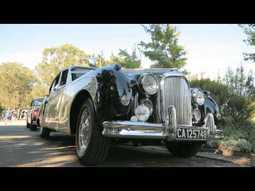 The townships of South Africa are more known for its violent history than it's budding impresarios. 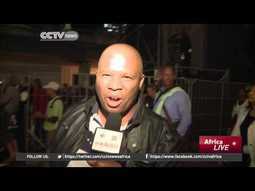 But now the sound of high quality Classical Music is drifting over the houses of Soweto. Music has always provided a back bone to the community of Soweto. It was an escape during apartheid, and an outlet for joy when freedom came. As Mathapelo Matabane says, "We sing when we happy, we sing when we sad". But now music is providing liberation in a different way. Started in 1991, Buskaid has been providing underprivileged children with the chance to learn classical music for over 20 years. It has seen it's orchestra travel around the world from New York to Syria and fired many musicians into Classical Music stardom. But for it's founder, Rosemary Nalden, it is more than just a charity project: "There is something going on, and it's sort of much bigger than all of us. It's been hard work, but it just feels literally at a particular point in my life and in their lives and in the life of this country." Known as the “Game of Kings,” polo is one of the oldest team sports in history. 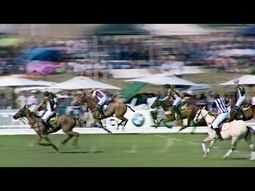 In South Africa the sport has been played for over a century, and now the country is enjoying an equestrian revival. Bronwyn Seaborne reports. 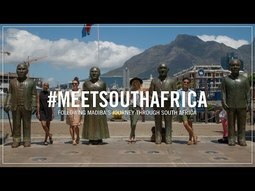 September is Tourism Month, and before we get the lowdown on just what South Africans can expect from this month, Thenji attended the official launch in Johannesburg last week, let’s take a look. 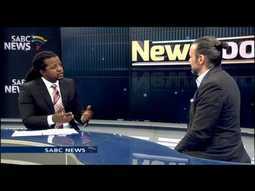 This week on Africa Trending we look at South Africa, a nation of foodies! We are at the Johannesburg food and wine festival which gathered professional and amateur chefs, but most of all, cooking addicts. Also in the show, we move from mixing ingredients to mixing patterns, we talk to fashion designer Samson Soboye who redefines the codes of matching African prints. 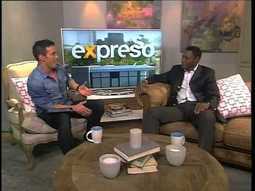 Remember to follow the show on Twitter @AfricaTrending.